Arguably one of the best loved genres of children’s book is fantasy, with the greats often adored by both kids and adults in equal measure. We are thrilled to be exploring Alice in Wonderland this term with our young writers in ‘Master Your Creative Writing; with fantasy parallel universes to explore, the creative possibilities are endless! With this in mind, we’ve compiled a book list inspired by both Alice in Wonderland and Through the Looking Glass to get stuck into this term. The blurb aims this book at ‘anyone who has a silly side, young and old’ – and we can’t help but agree! 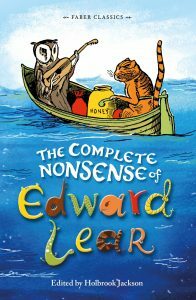 Perfect for fan’s of Lewis Carroll’s absurd and wacky poetics, this is a wonderful collection of Lear’s best known nonsense poems, from ‘The Owl and the Pussycat’ to hoards of zany limericks, this is a perfect collection for both reading aloud and independent reading. Julia Donaldson is one of the best loved children’s authors out there for a reason, and children throughout the country have been raised on a diet of her fantastical creations, from The Gruffalo to Room on the Broom. 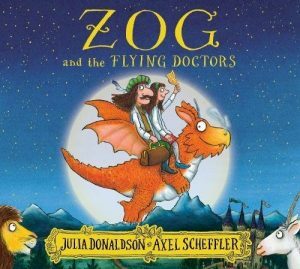 Join Zog the ‘flying air ambulance’ (and dragon, of course), and doctors Sir Gadabout and Princess Pearl on their adventures, as Pearl asks the question – can Princesses be doctors too? 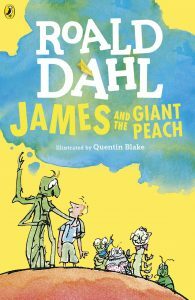 Roald Dahl joins Lewis Carroll on the list of ultimate children’s fantasy writers without a shadow of a doubt. Just as Alice gets immersed in a world of giant caterpillars and talking rabbits, James too gets a chance to escape his life at home by entering a magical (giant, peach flavoured) sphere with enchanted critters. 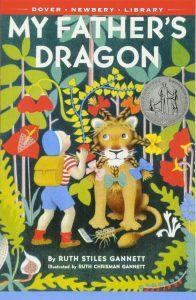 Newbury Honor-winning for a reason, My Father’s Dragon has captured the imaginations of children for generations, and is just as loved by today’s children as it was by those 70 years ago in 1948. Expect bewildering beasts, action and adventure! 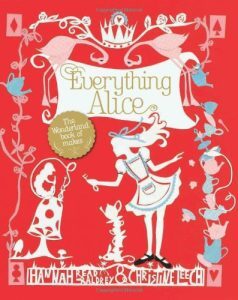 The perfect book for die-hard Alice fans, this is a great crafts, recipes and activities book for both children and adults to share together. Jam-packed with wonderful ideas and beautiful illustrations, this is a perfect rainy-day book for crafters from beginner to advanced level. 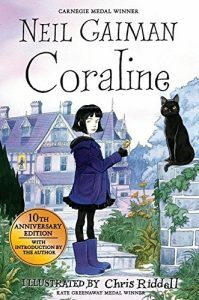 Coraline is widely known to be heavily inspired by Alice – think of it as it’s deeper, darker sister! Rather than falling through a looking glass to Wonderland, however, Coraline walks through a door to Other World, a parallel universe where life is disturbingly familiar. A masterpiece, and winner of innumerable awards with good reason! This book has only been released this month, but is already being hailed as the best new read for young fantasy fans! The Guardian describes it as: ‘Alice in Wonderland meets Pixar’s Inside Out, perhaps, with a dash of Animal Farm’, and we too are sold! 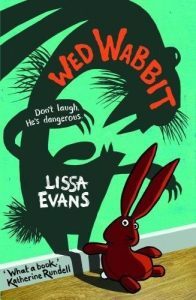 Another great pick for children who love interdimensional/inter-world plot lines. I must confess to an element of self-indulgency on this pick, as it was one of my favourite fantasy books as a child and my own copy is severely dog-eared from re-readings! 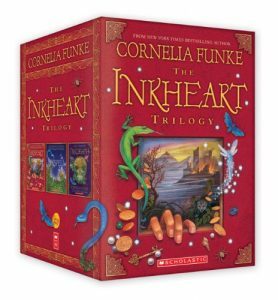 Inkheart explores the fantasy of bringing books into real life by simply reading them out loud, and the fatal consequences which come from wielding such power. Witches, river creatures, fairies and tiny blue Scotsmen… farm girl Tiffany’s life is turned totally upside down in this bestselling novel. Pratchett’s staple wit and snide remarks will have readers cackling aloud as the read this. 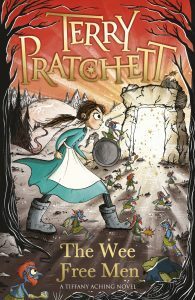 The Wee Free Men is a perfect introduction to the world and writing of Terry Pratchett which is so adored by children, YA’s and adults alike. George RR Martin is synonymous for his Song of Ice ad Fire book series, leading to the major tv show Game of Thrones. 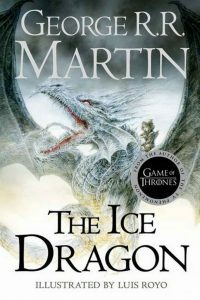 Along side his main series, Martin publishes side-stories for children which contain all of the detail and complexities of the world of Westeros but without the adult themes! The Ice Dragon is a short book ideal for young fantasy and history buffs (and perfect for parents who are fans of the T V show to steal after the kids are done with it!). Libby Norman is a practicing writer and performance artist based in London and the South West of England, making work within live art and experimental writing scenes. Having first started working with Chelsea Young Writers as a Teaching Assistant and now behind the scenes within Social Media and Digital Outreach, she understands how CYW operates from the ground up, and loves writing content specifically tailored to our wonderful community of young writers and their parents/guardians. Libby holds a First Class Honours degree in Performance Arts from the Royal Central School of Speech and Drama, and is currently studying for a Masters degree in Poetic Practice at Royal Holloway.